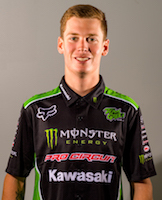 CORONA, Calif. (January 30, 2019) – Monster Energy Pro Circuit Kawasaki’s Adam Cianciarulo and Garrett Marchbanks have one more round to showcase their speed this weekend at Petco Park before the series starts to head east. 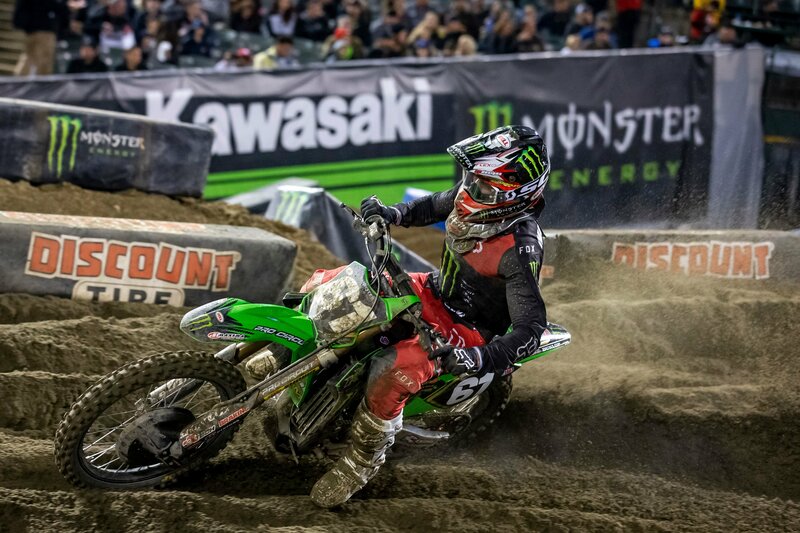 Cianciarulo rolls into San Diego with two wins and the momentum to potentially take over the lead in the championship as he sits just three points back of the leader. Marchbanks returned to the top 10 and is hoping to make Round 5 his best race yet. 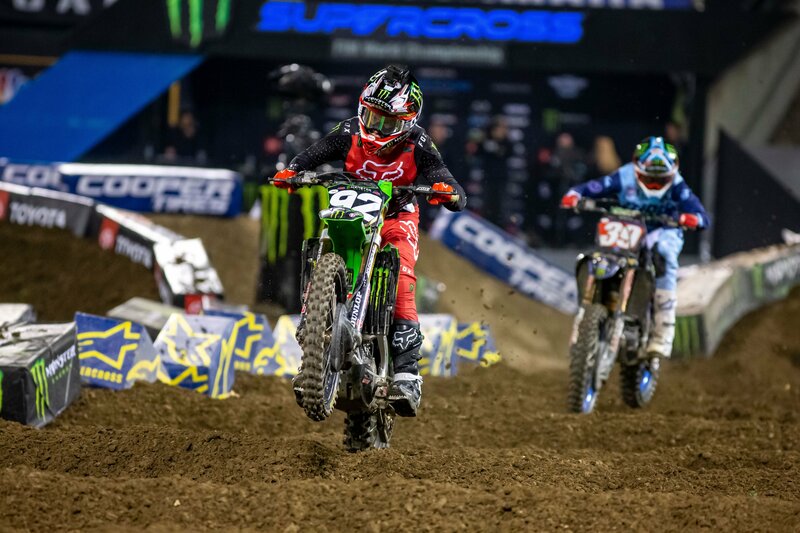 The weather isn’t looking promising for San Diego on Saturday, but that won’t stop Cianciarulo from entering with confidence following his second win last week in Oakland. Getting out front and having clear vision will be one of the keys for the race. The rookie Marchbanks completed his best finish of the season at the opening round mud race and isn’t shying away from the bad weather. He’s set to make Round 5 a race to remember before he gets his first weekend off in the new year. 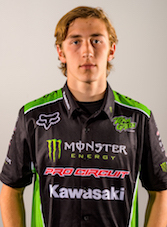 The Monster Energy Pro Circuit Kawasaki riders will be signing autographs on Friday, February 1 from 6 - 7 p.m. at Del Amo Southbay in Chula Vista, California. 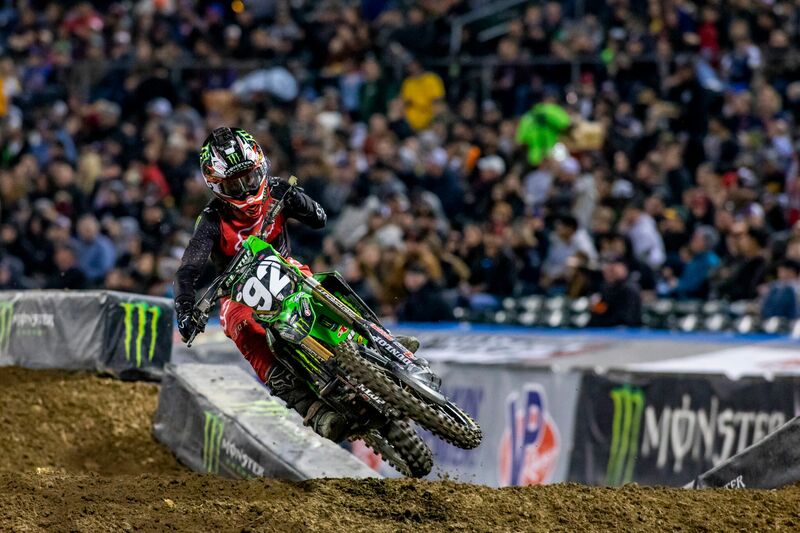 Saturday’s race from Petco Park will be broadcast live on NBC Sports starting on Saturday, February 2 at 10 p.m. ET.